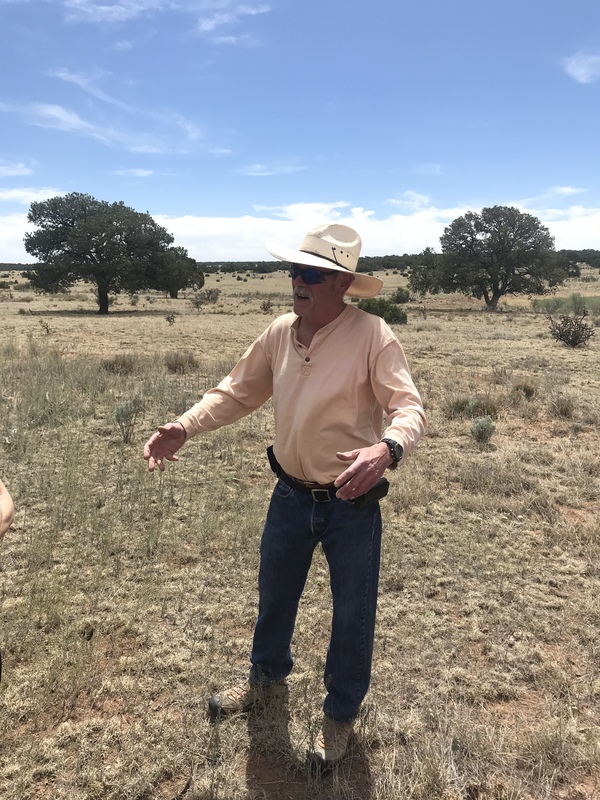 We just returned from a trip into the Arizona Territory, which was lucky in one regard. While we enjoyed sunny days in the 80s, our hometown was buried under an ice storm of Biblical proportions. At least, it was the biggest thing witnessed in these parts. 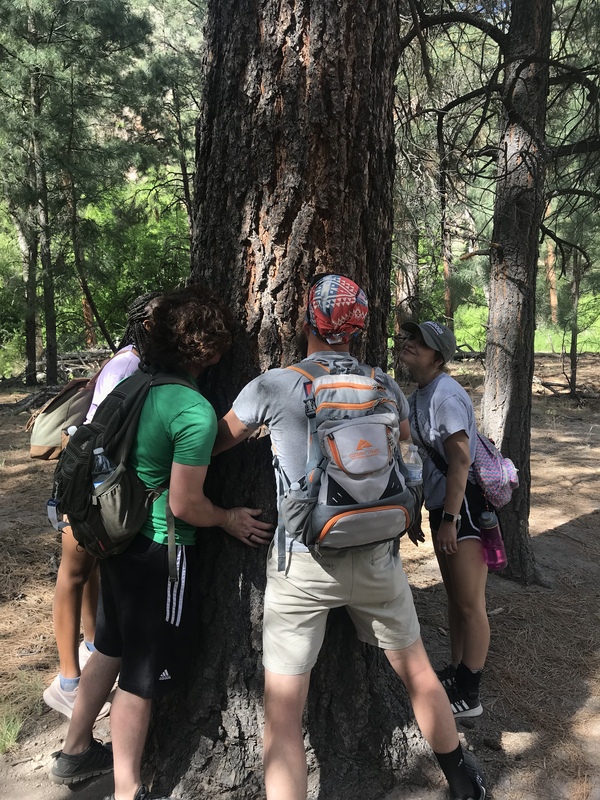 Instead of making a series of posts out of this excursion, I have decided to write about the best thing that we did each day. Friday – We escaped the freezing blast, but that was not the best part. That came when had dinner on the patio at Scottsdale’s Old Town Tortilla Factory. Enchiladas covered in green chilies. You cannot get better than that. Saturday – Highlight of the day? Heck, this could be the highlight of the trip. 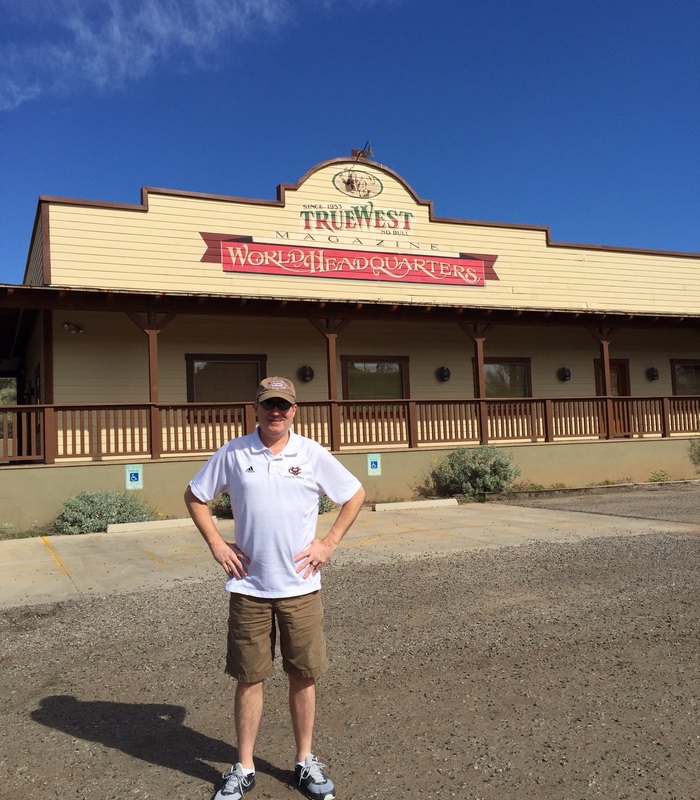 As we drove through Cave Creek, Arizona, I looked to my right and saw a big sign that read True West Magazine Headquarters. This is one of my favorites, and I could not believe that we just happened upon it. Obviously, I had to get a picture. Sunday – We looked at a lot of art. It is everywhere in the Scottsdale area. On this day, art was purchased. Joe Deru makes bowls, pots and all kinds of things out of wood. This is not just any woodcarving. This is some elaborate stuff. 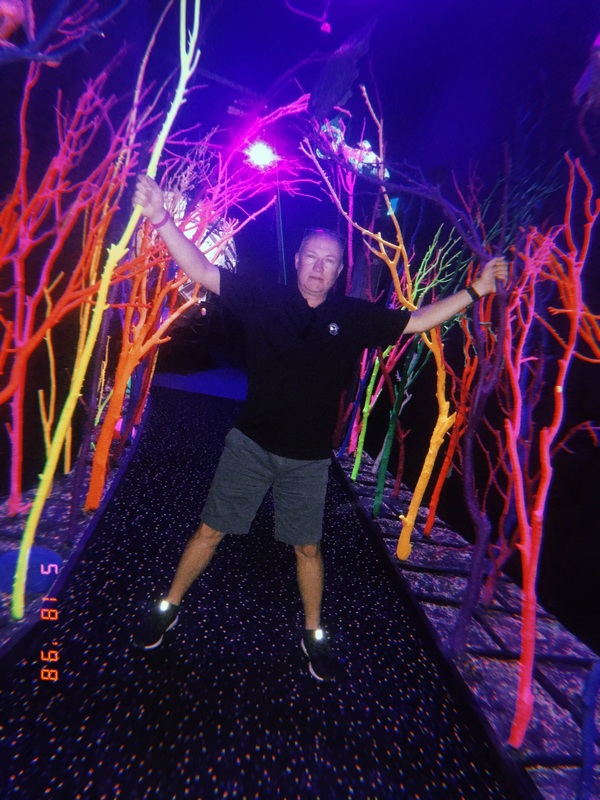 His operation is called Windfall Woods, and everyone should check it out. 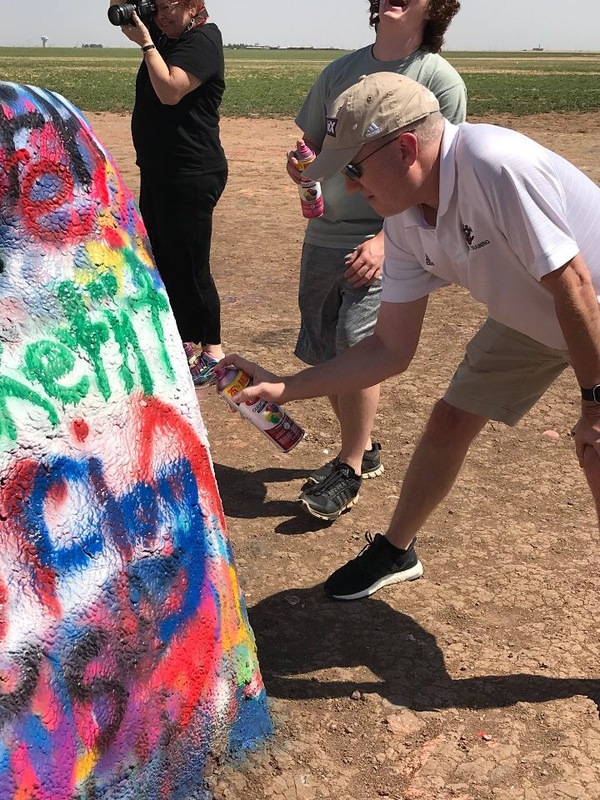 Monday – This was road trip day, and we made our way to the Red Rock country around Sedona. I delved into some history that needed to be dealt with, but the best thing happened on the way back. 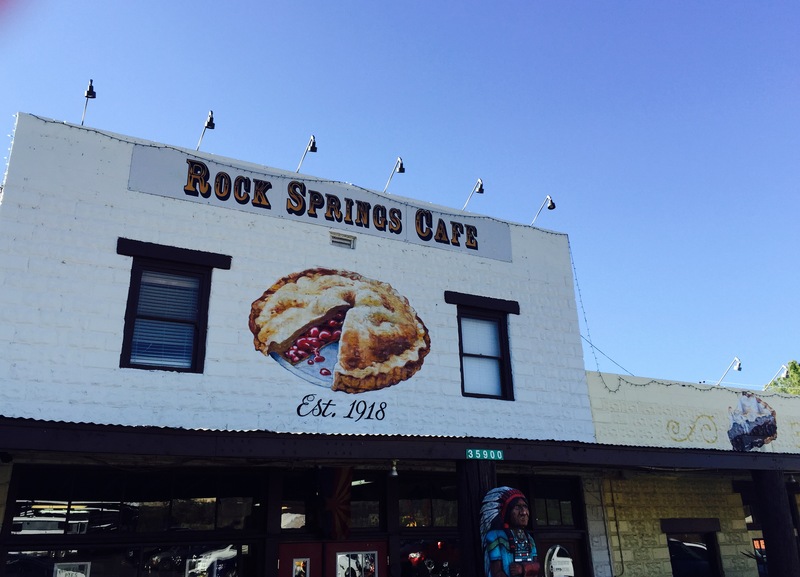 We stopped at the Rock Springs Cafe for some of their famous pie. My wife got chocolate cream, and I got pecan with a little vanilla ice cream. Tuesday – Food has been mentioned twice. In other words, we ate quite a bit. That is why the best event of this day was important. 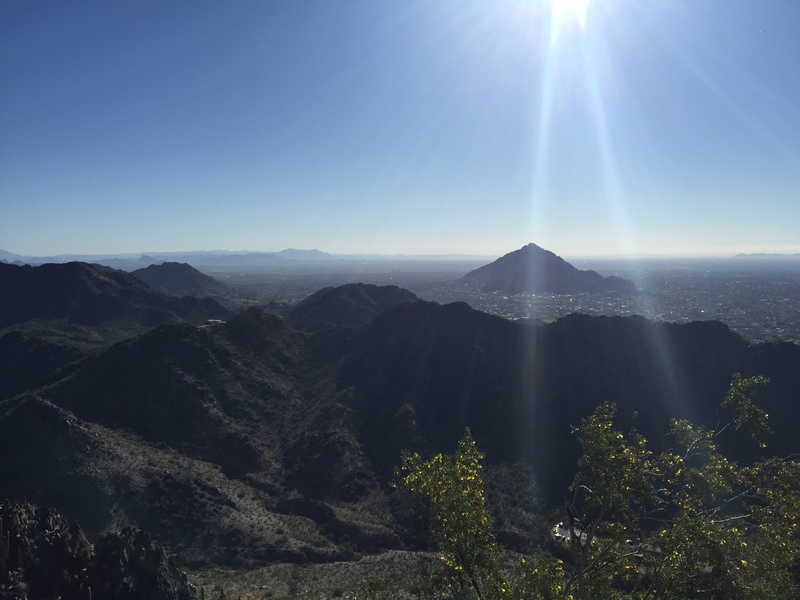 We hiked the trail at Squaw Peak. It must be written that peak is the operative word in that sentence. This thing went straight up. Once we got to the top, we had a great accomplishment and a great view. It was on the way down when we realized that one couple did it twice to our once. Of course, once was enough. Wednesday – Food has returned. For our last dinner in Scottsdale, we chose Barrio Queen, and it turned out to be the best place of all. 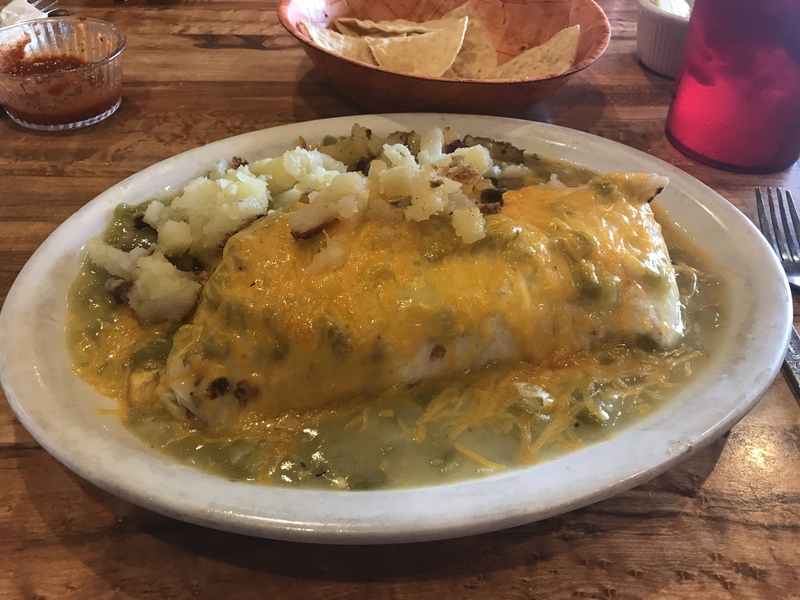 My burrito was excellent, and my wife’s choice was just as great. 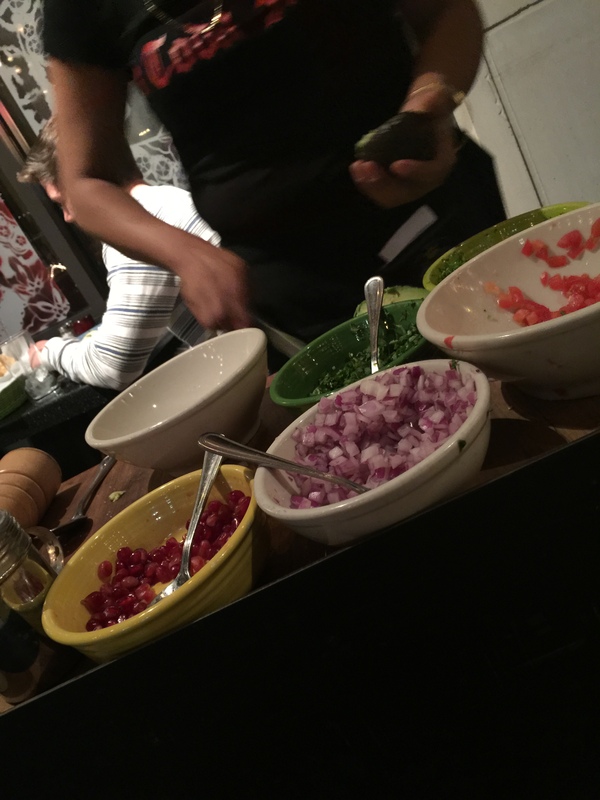 However, neither compared to the fresh guacamole to start things off. Thursday – It is always good to go somewhere, but it is also always good to return home. We boarded the plane at 70 degrees and landed at 9 degrees. However, that was alright. We had a great time and made it home safely. 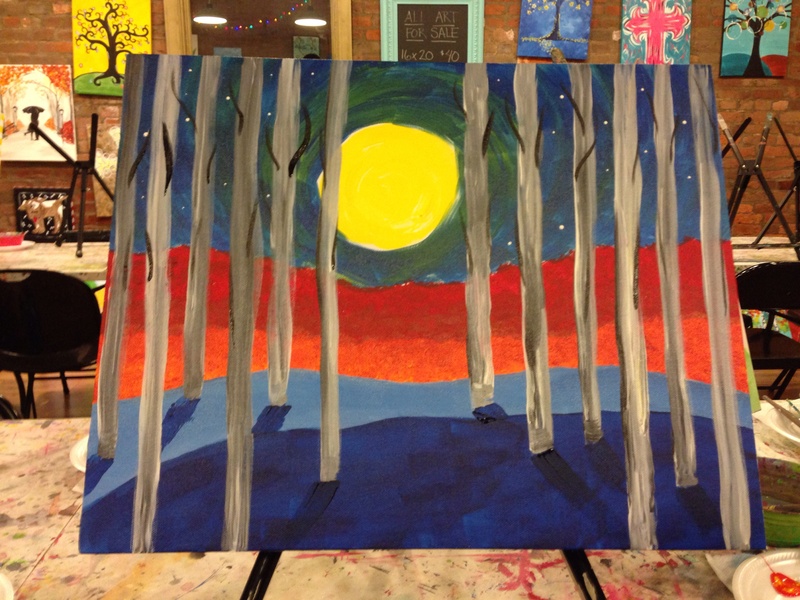 There is this cool place in town called The Art Mill, where people can paint. It is owned by some friends of ours and has been quite successful. On top of that, it is easy. You pick out what you want to do, and they take you through a step-by-step process. Before you know it, you have become an artiste. My wife thought The Art Mill would be a great place for us to spend Valentine’s Day as a family. My stepdaughter was not too fired up about it, but I was. I was so fired up that I picked out one of the hardest things to do. When we got there, they had to convince me that I should start off with something a little easier. That is when I spied a landscape scene that looked cool. 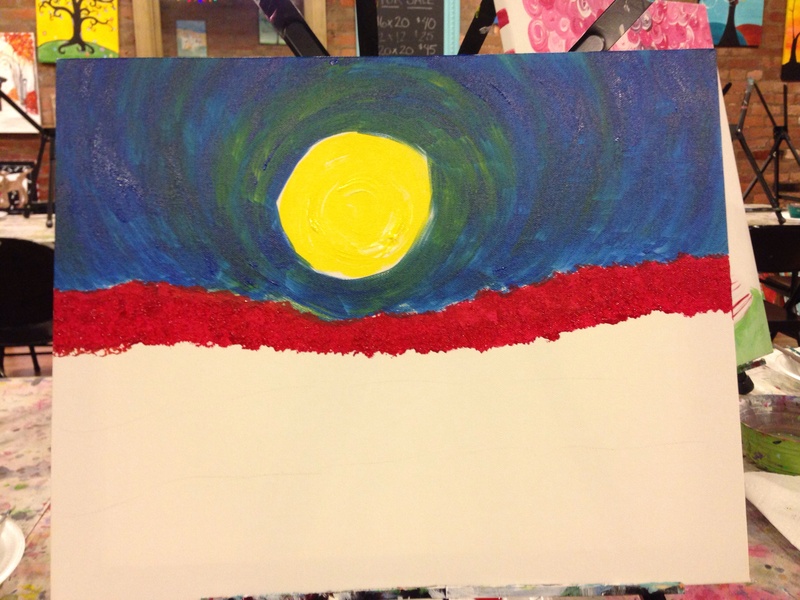 After a few brushstrokes, it looked like this. 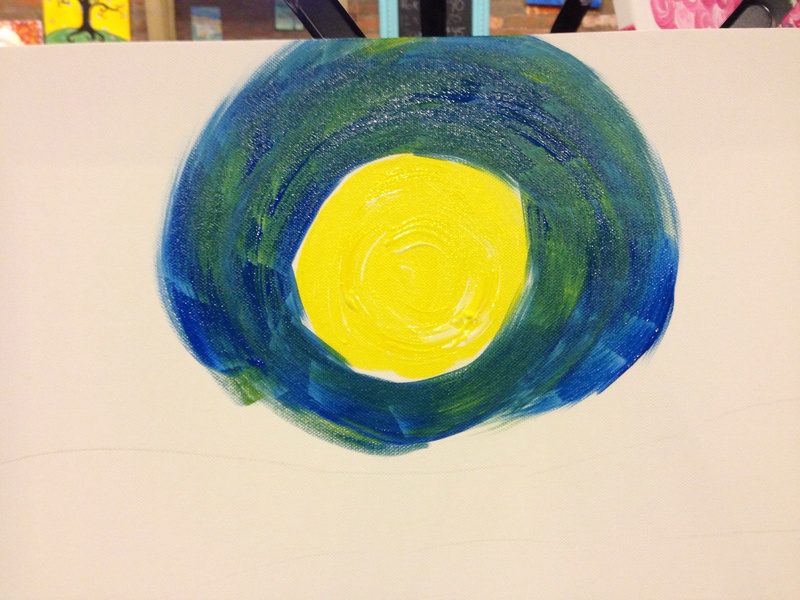 As I was instructed, a few more strokes were added. Now, it was time for a real color – orange. Next, I was told to add in some darker stuff. At this point, I was not sure how it would turn out. Then, the trees were added. The finishing touches were the branches, the shadows and the stars. Alright, it is not a masterpice, but it is decent coming from someone who did not know what they were doing. 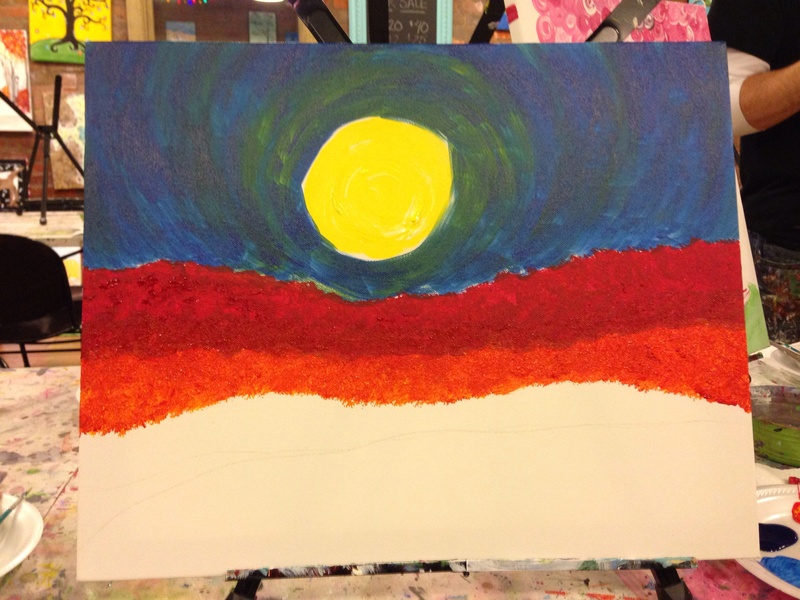 A strange thing happened while I was painting this landscape. I began imagining someone living within it. Maybe a person coming from a distant place over the horizon. As the night passed, they moved closer to the dark forest. I pictured them moving slowly on horseback while they sensed the world around them. Where were they coming from? Where were they headed? I am not sure, but I think it is a strange world in which they navigated. Is that what art is supposed to do? Bring out our creativity and imagination? 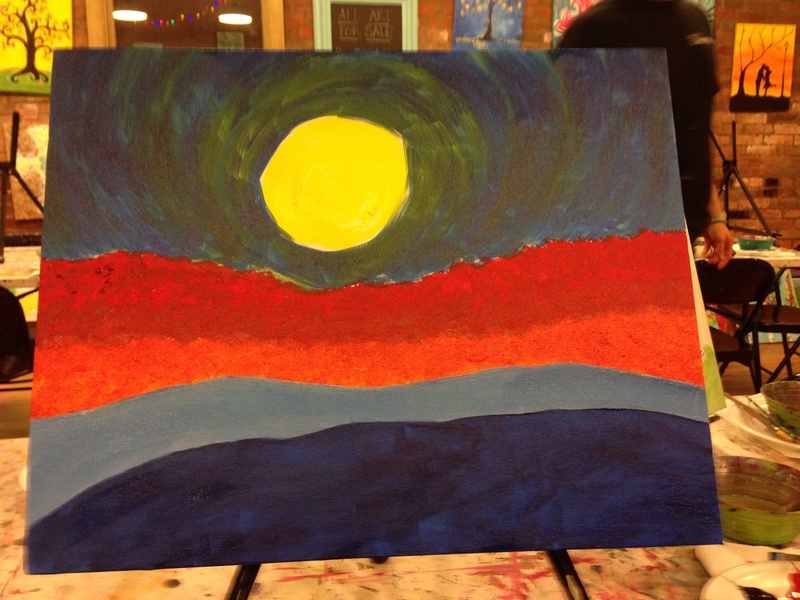 Anyway, we all had a great time painting, talking and laughing. That included my stepdaughter who wanted to know when we could go back. Next time, though, I do not think I am invited. It will be a girls only thing. 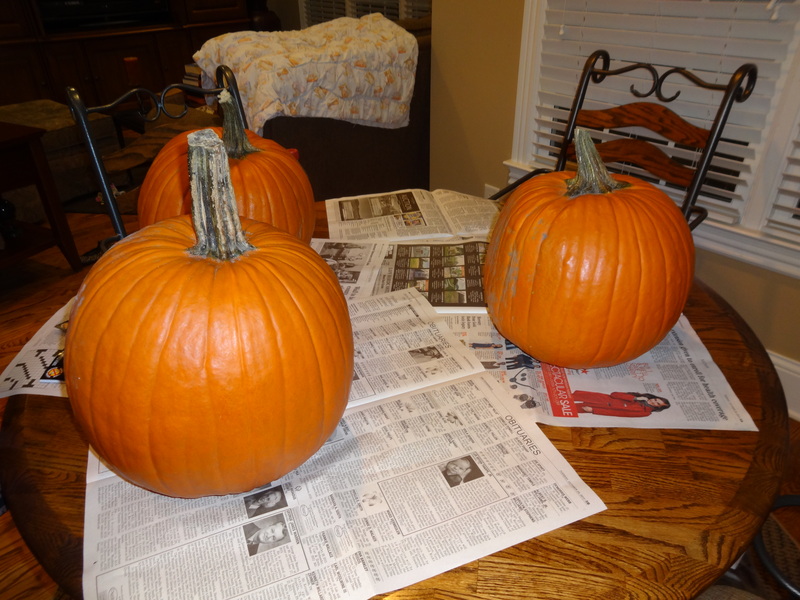 Last year, we carved pumpkins for Halloween, and I wrote a post about it. That post has been getting a lot of hits lately because people are searching for pumpkin carvings. Unfortunately, it was not my best work. I forgot to take pictures of the pumpkins that we carved and had to resort to other means. This post is going to set things right. I know that we carved pumpkins when I was a kid, but I don’t remember much about it. They were the simple kind with triangles for eyes and a mouth with jagged teeth. I guess that’s what most people did. 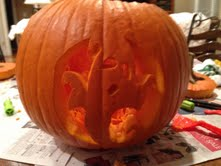 That means last year was my first foray into fancy pumpkin carving with the tracing tools and the special implements. Overall, it went well. Everyone’s carving came out like it looked in the picture. 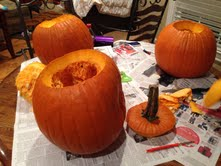 The only problem was that the cap of my pumpkin fell in. I was determined that nothing like that would happen again. This year didn’t go as smoothly. My stepdaughter was in the middle of a book that she wanted to get back to. My wife carved in the wrong spot and decided to stop. Mine came out alright and ended up on the front porch. Obviously, they haven’t realized the trick that makes pumpkin carving a success. You stick your tongue out as you concentrate on your work. The great think about this year is that I took pictures and am offering them up for your entertainment. The pumpkins started out looking like this. Notice that one of them is sitting on the obituaries. Scary, right? The next step is cutting out the top and pulling out the guts. Necole said something about this feeling like putting your hand in a human body. Hopefully, she doesn’t have experience in that field. This is another view of the operating table. 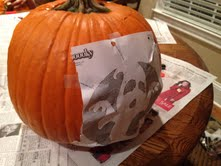 Next, you are supposed to tape the picture to the pumpkin and prepare to trace the lines. This is my favorite part, and I have no idea why. I guess it’s the cleanest. I don’t think I would make a good killer. Stabbing someone is messy. Maybe, I got perforate them to death by tracing the outline of a ghost on them. Despite that, there comes a time when you have to dig in and start dismembering. Necole is way better at this than I am. In fact, I think she stuck her tongue out a few times. 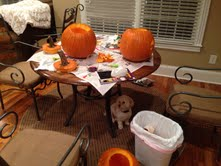 Carving up pumpkins is tiring, and we took a break. That’s when Daisy Dog studied the scene to see what we were up to. She could be right. 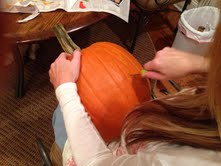 We cut and hacked and sawed and got one pumpkin completely carved. We put it on the front porch and realized that we didn’t have a candle to put in it. 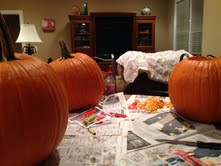 I must say that carving pumpkins with my family is fun, and I wish it happened more than once a year. Next time, I am going to attempt a carving that looks like Daisy Dog. We just finished walking around the neighborhood. As we did, I noticed a man through a window. He was working at his desk, and I began to wonder what he was working on. Was he writing the next great novel? Was he writing a letter? Was he blogging? At the moment, I am sitting by a window, and people are probably looking in and wondering what I am doing. I like to think that people like what they read here. It’s a hodgepodge of stuff, but it comes right out of my head. Sometimes, It’s travel. Sometimes, it’s music. Sometimes, its stories from the past. All the time, it’s something that is stuck in my mind and needs to get out. I am not sure what needs to get out tonight, so I will just go down the list of categories on this blog and type this first thing that fits. Academics – School starts back soon. That means inservice. Agriculture – The other day, I got gas at the Farmer’s Co-Op. Art – There is a guy named Art who works at Beauty Boutique, Necole’s store. Biography – The last one I read wasn’t very good, It was about Ward Bond, John Ford and John Wayne. It should have been good. Books – I just finished The Eye of God by James Rollins. It is the further adventures of Grayson Pierce. Childhood Memories – Tonight, I mentioned that my parents had a Weeping Willow in their front yard, and I used to play under it. Comedy – Nothing is funny, at the moment. 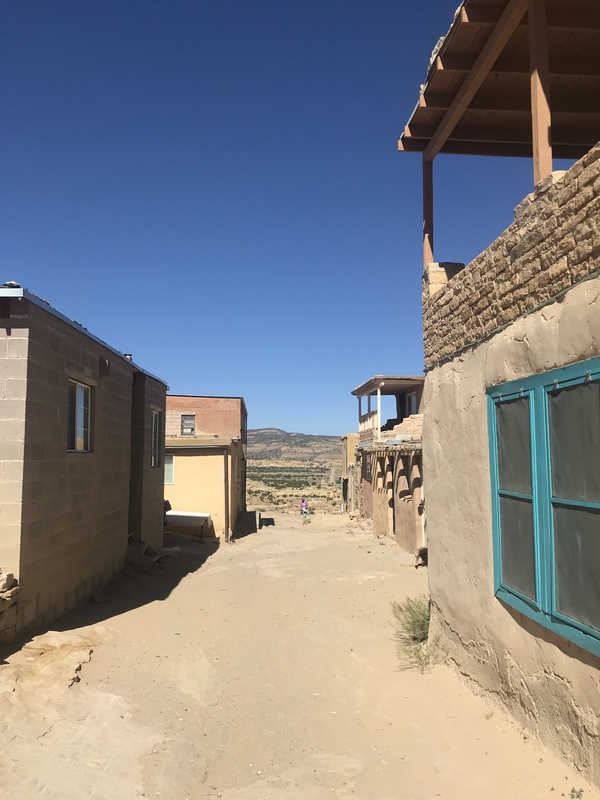 Community – I was named to the local Planning Commission. This afternoon was my first meeting. Crime – Tonight, I found out that a guy I once knew tried to kidnap his wife and lock her in a closet. Hopefully, he will get what’s coming to him. Did You Know? – I forgot about this category. It needs to be revisited. Dining – Tonight, we had a home cooked meal of meatloaf, mashed potatoes, macaroni and cheese and green peas. Dreams – Lately, my dreams have been less than memorable. Government – Necole went to the DMV this morning. There is no reason they should be that slow. History – I am getting my lecture voice warmed up. 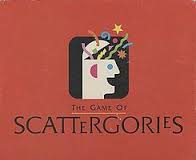 Movies – We watched Batman Begins, and I realized that the guy who plays Joffrey on Game of Thrones was in it. Music – We have a couple of concerts coming up – Don Williams and The Eagles. Nature – There’s a great article about sugar in the latest National Geographic. Everyone should read it. Photography – In a few days, we are getting more wedding photos made. 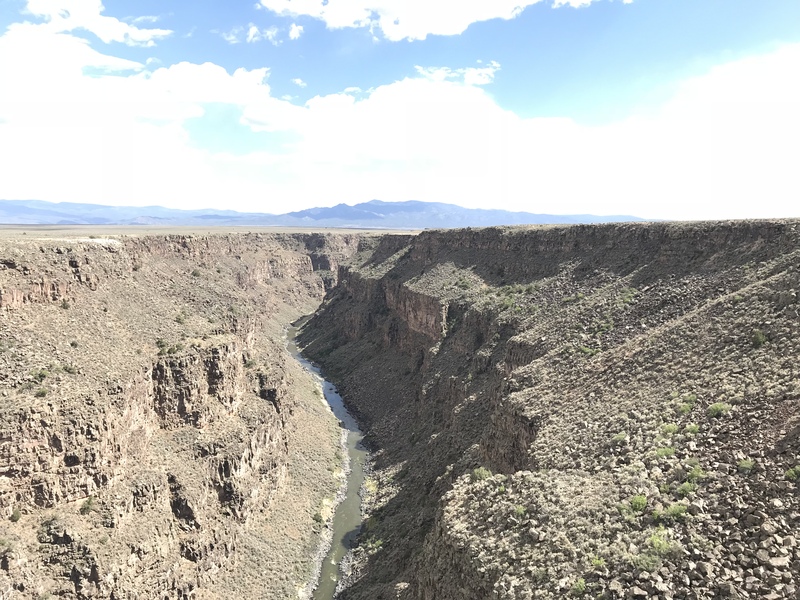 Rambling Ruminations – I think that is what this post is all about. Religion – I would like to write about it more, but a few things are better left unsaid. Sports – College football is about to start, and my team, the University of Tennessee, is in the Southeastern Conference. However, you’ll never hear me chant S-E-C. I cheer for one team and hope the other ones lose every week. Stupid Stuff – It’s an accurate description of this post. Television – I’m waiting for Justified to crank back up. Therapy – I used to go. I don’t anymore. 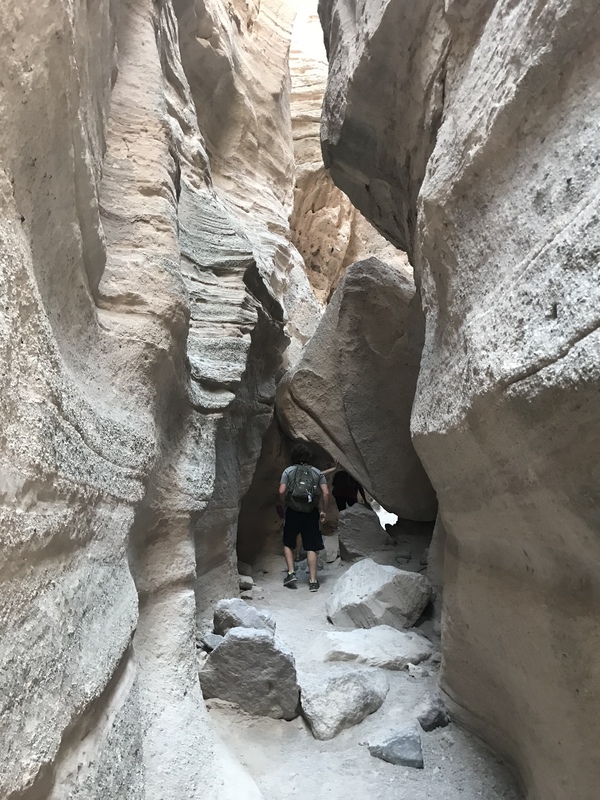 Travel – We just returned from California and will be heading to Arizona soon. Writing – Am I the only person who doesn’t mess with those writing prompts? I have this bad habit of planning one kind of post but ending up writing another kind. This serious post about prejudice has been floating around my head all day. It probably stems from Jason Collins, the NBA player who just announced that he is gay. However, it also stems from an article in The Tennessean, Nashville’s daily newspaper. A monument is being erected to honor the young people who staged sit-in’s in Nashville during the Civil Rights movement. One of the artists who is being considered was born in China. Apparently, one of the original protesters believes that a Chinese kid from California isn’t qualified to create a monument to him and his fellow protesters. The Chinese part is the only thing he got right. The lady is middle-aged and lives in West Virginia. I guess prejudice can come from anyone – even those who faced it and fought against it. People tend to get upset over monuments for some reason. 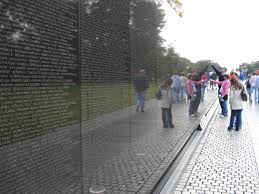 Last night, there was a documentary on television about the Vietnam Memorial in Washington. People didn’t like it because they thought it ugly. Now, more people visit The Wall than any other monument in the city. Also, I seem to remember some people getting upset because the Franklin Roosevelt Memorial did not address his paralysis. 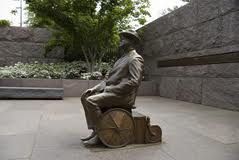 FDR went to a great deal of effort to hide that from the public, but there is now a statue with him in a wheelchair. I understand that activists for the disabled believe that his paralysis should be shown as an example that obstacles can be overcome. However, the monument honors him and he did not want that displayed. Are monuments about the person being honored or about the people who are doing the honoring? Maybe we shouldn’t put monuments up at all. Usually, the subjects are already dead, so they don’t mind. On top of that, do monuments really add anything to our knowledge of the people? 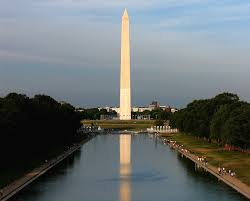 Do we learn more about George Washington at that big obelisk or at Mount Vernon? Also, monuments tend to turn humans into god-like beings. The Abraham Lincoln depicted at the Lincoln Memorial is this giant figure sitting on a throne. The Abraham Lincoln depicted at his home in Springfield, Illinois is quite a different character. Thomas Jefferson has a bunch of monuments. Of course, there is the one in Washington, but did you know that the Arch in St. Louis in a Jefferson Memorial, too? I have never been in the Arch, but I have been in the underground museum that covers westward expansion. I get the feeling that when people drive by the Arch they don’t think about Jefferson. They probably think about him when they got to Monticello, however. I have come to the conclusion that monuments cause people to get upset as much as they cause people to come together. A Confederate monument put up in the 1890s doesn’t convey the same message these days. 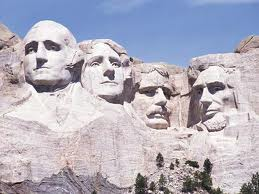 The monument to the presidents at Mount Rushmore doesn’t make Native Americans very happy. After all, it was carved into one of their sacred sites. It’s not like monuments are going to last forever, anyway. How many buildings named in honor of people have been demolished? How many graveyards have been forgotten and grown over? How many Indian mounds have been dug up? How many Pharaoh graves have been looted? I’m not sure how to end this post, so I’ll do it with a quote by Tommy Douglas, a prominent Canadian politician. 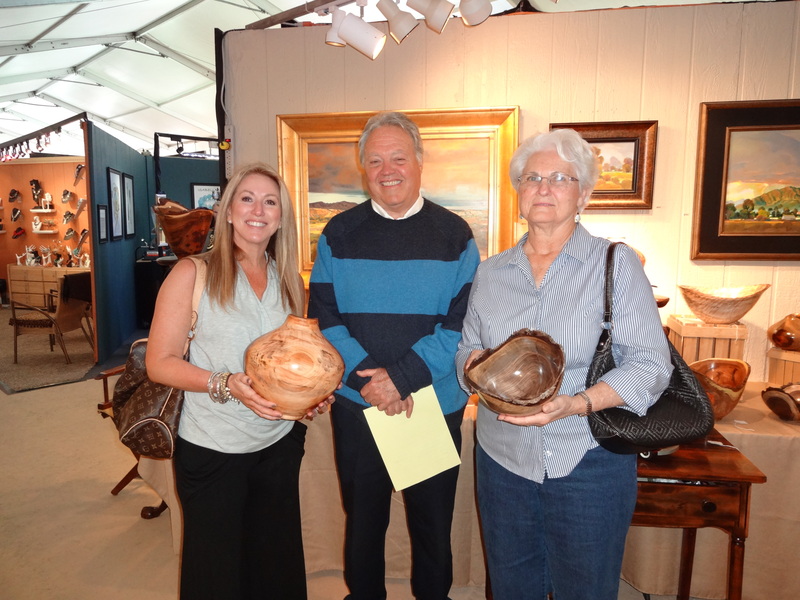 Santa Fe is full of artisans and art galleries. This has made the city a destination for art lovers all over the world. A walk around the plaza is a walk from one impressive gallery to another. Paintings. Sculptures, Jewelry. Pottery. Everything can be found in downtown Santa Fe. However, my favorite, the Shidoni Gallery, sits on the outskirts of Santa Fe. Anyone who likes metallic art has to turn onto the dirt drive of the gallery and explore the grounds. They will see art and art in the making. The display room is filled with smaller pieces and serves as an entrance to the pouring room. That’s where everyone can watch liquid metal being poured into molds. Eventually, this metal will cool and turn into something cooler, like the giant skull in the photograph. 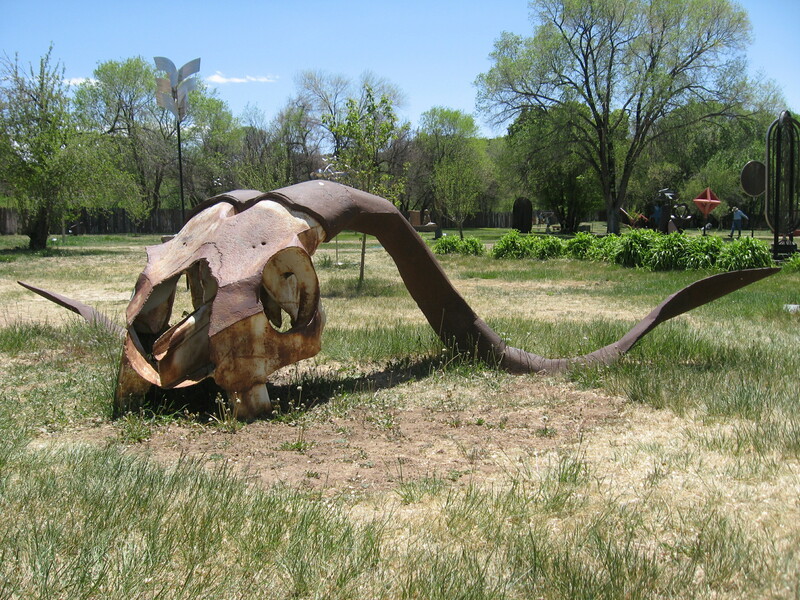 The skull sits in the sculpture garden that covers the complex. People can walk through the garden and examine the sculptures up close. 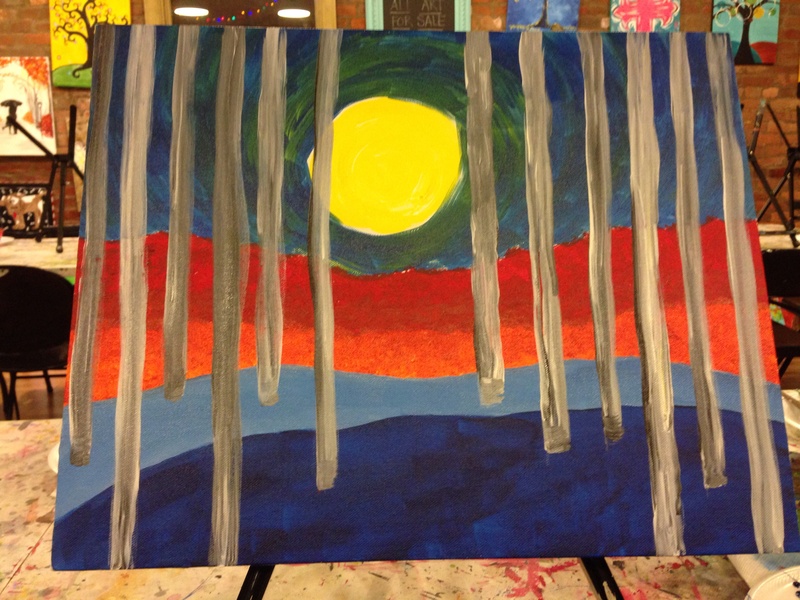 They vary from the realistic to the abstract and everything in between. 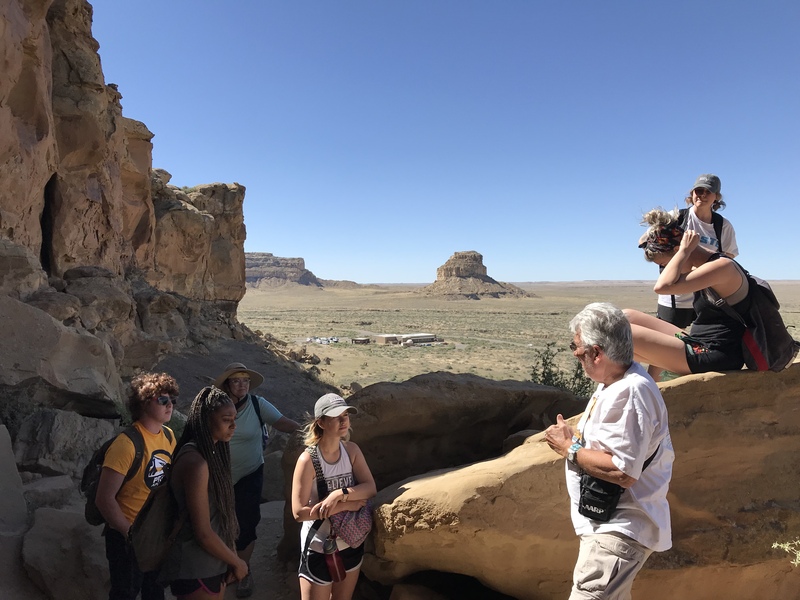 Although there is activity all around, it’s as if you have stepped into another world – a world where nature and art collides to create an unusual combination of beauty.